Although Mr. Pickles is a franchise (they're everywhere), they are not consistent at all. The one place that tops them all is the Mr. Pickles in Belmont. So good I happily eat the sandwich there after my bike ride, in spandex. Behold, the Abott on Dutch crunch. 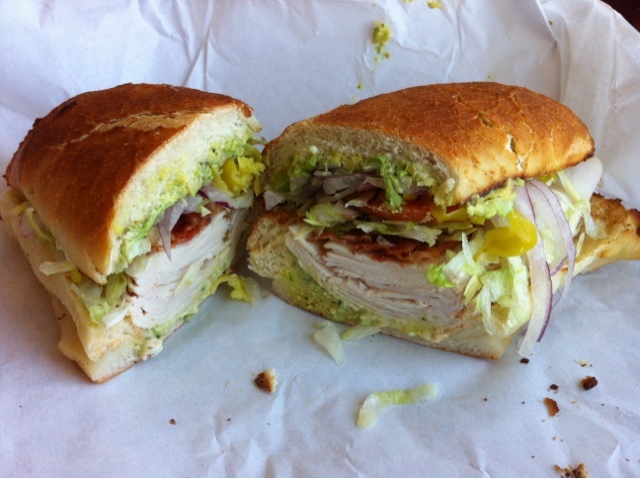 Bacon, avacado, turkey, and lots of love.